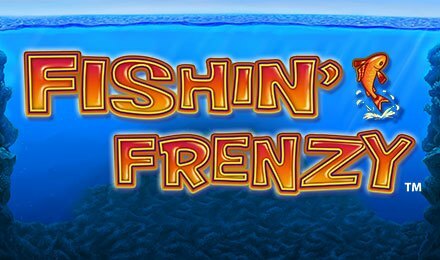 Fishin Frenzy slot is a cool and relaxed slot game, now featured at Wicked Jackpots Casino! Packed with 5 reels and 10 paylines, enjoy the fishing trip you get to go on! Enjoy features and bonus rounds that come into play, and that boost your gameplay and your winnings as well! Launch the game on your mobile, desktop or tablet where symbols like Fishing Rods, Pelicans, Fishing Rods, Bait, Lifebuoy, Blue Fish, A, K, J, Q and 10 come together to form winning combinations. Fishin Frenzy slot allows you to set the game to your preferences. Use the Change Bet Button to set your stakes and the Change Lines button to change the amount of paylines active. Once you’re done, click on spin and let the game begin! Amount of Paylines Selection: Choose from 1 to 10 paylines. Coin Values: Coin values range from £0.01 to £1.00. The wild symbol is the Fisherman, who replaces all other symbols bar the scatter to help complete winning combinations. The scatter symbol is the Fishing Boat, which triggers the Free Spins Feature. Activate the free spins feature by lining up three, four or five scatter symbols anywhere on the reels and receive 10, 15 or 20 free spins to put to play correspondingly. While the feature is in play, the Fisherman appears in sync with fish. He then catches them and awards instant cash prizes. All prizes are awarded according to the size of the fish.